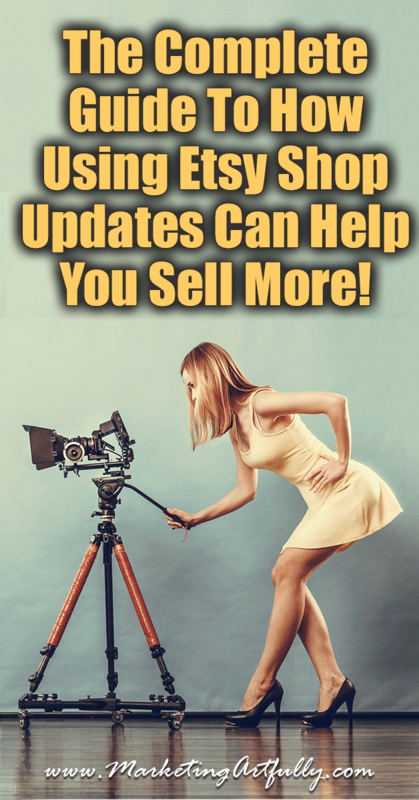 The Complete Guide To How Using Etsy Shop Updates Can Help You Sell More! 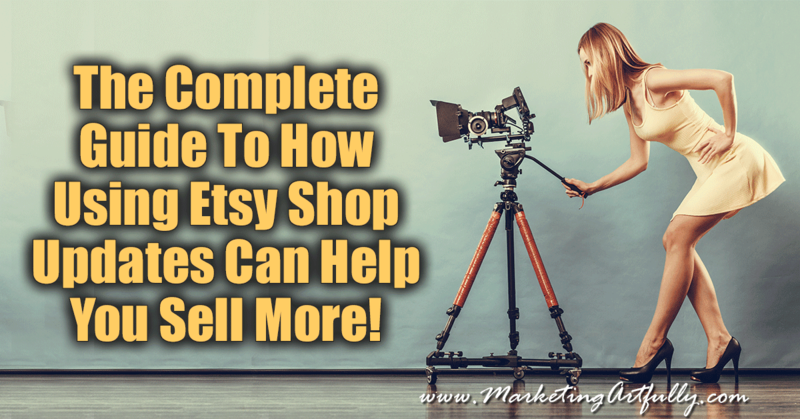 You are here: Home / Etsy Marketing / The Complete Guide To How Using Etsy Shop Updates Can Help You Sell More! Etsy Shop Updates are a thing. There I said it. They seem like just another thing that I have to do to keep my Etsy store relevant. But are they important? Should I stop doing something else and make them a priority? 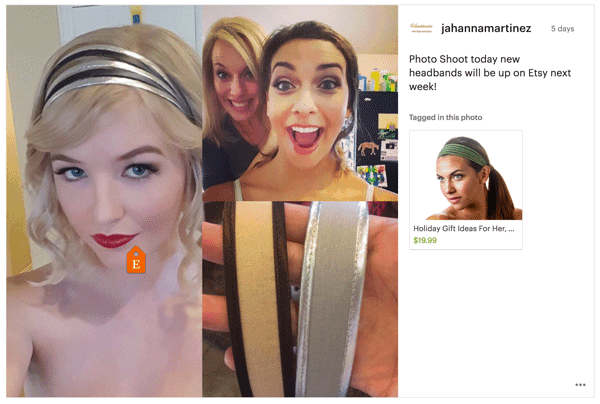 Will they help increase sales or just be another “social media” task that takes up my time! 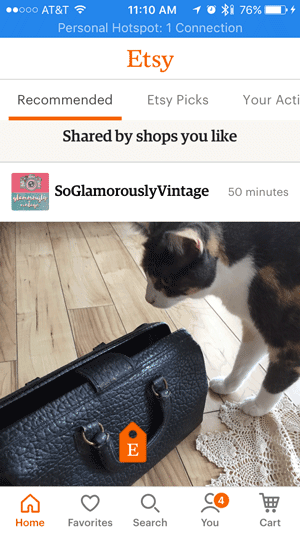 What Is An Etsy Shop Update? 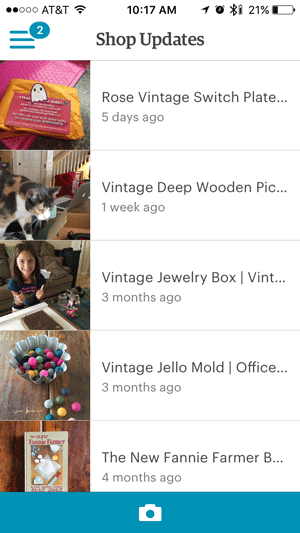 …a feature of the Sell on Etsy app for iOS and Android that allows you to upload and share photos of your products and process.The photos you share can be used to show your creative process, highlight new items in your shop or to show buyers different ways that an item in your shop might be used, worn or displayed. So it is intended to be a “behind the scenes” look at your shop and process. Please note they did not say that this is intended to be a listing post. 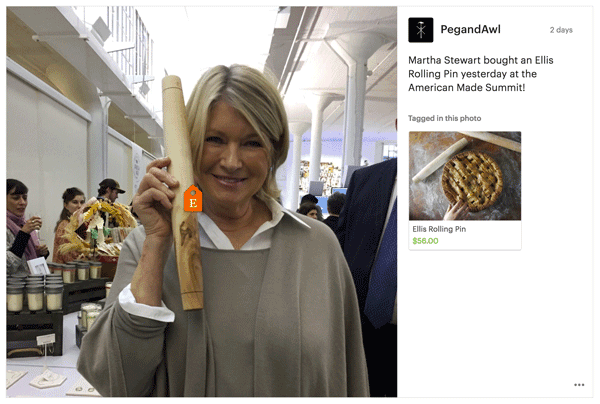 It should be creative and fun, not just another place to post an item for sale. 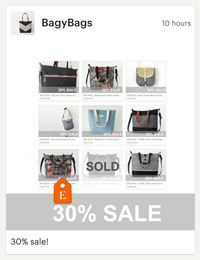 Simply re-listing your products here is super spammy and might actually annoy buyers. 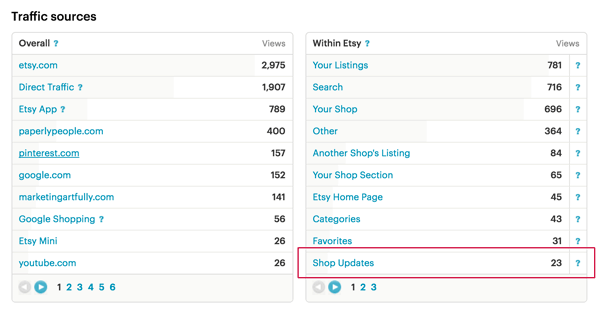 Who Sees Your Etsy Shop Updates? So all those favorites that make us all crazy (stop favoriting and buy my stuff) are actually good for something! They “hook” people to you so they can see your shop updates! 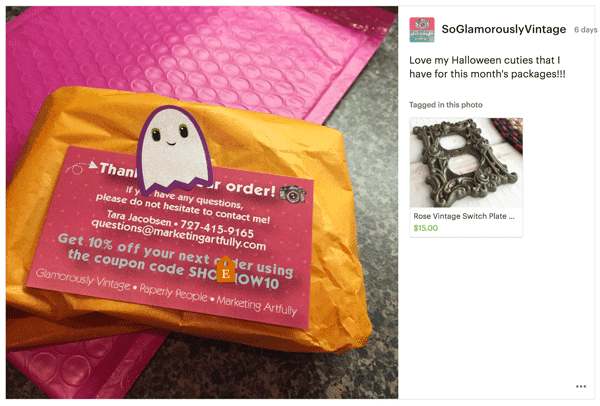 Real quick let’s take a look at how to do an Etsy shop update. You have to do it from your phone. I assume this is because they are supposed to be “candid” photos. Then pick “social media” and scroll down towards the bottom to get to the Shop Updates section. As you can see, I have a few updates, but haven’t been so good about them in the past. I am researching this post to make this more of a priority in case it helps! You can either take a photo or choose an existing one. I am thinking that creating a “library” of photos would be the way that I am going to go to have these handy. Here is where we can crop to make the picture more interesting. 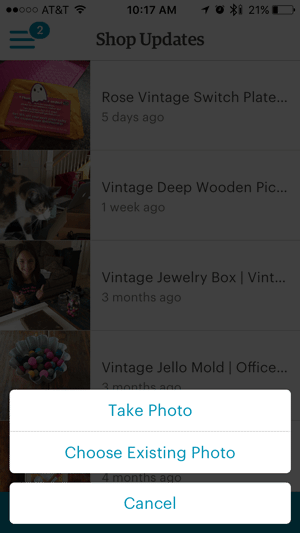 Because Etsy uses a square layout, make sure you are taking pictures that will be interesting in this format. This is where I think the magic starts. 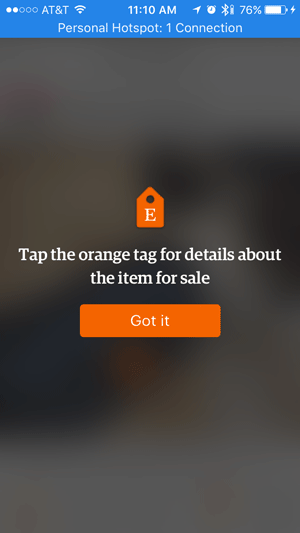 This ability to tag and link one of your products is a great marketing opportunity. Okay, now you need to make at least an attempt to write something compelling. You could either talk about the virtues of the product or describe the scene of the photo. I have to feel like this kind of candid picture should not be just another blatant attempt to get people to “buy my stuff” so I am choosing to go the “about the picture” route. This step is okay. 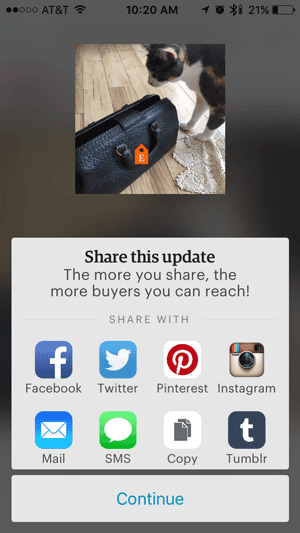 It allows you to share on your social media properties. I use Instagram so I was able to share it there and onto Facebook through that app. This multi-channel time saver is almost enough to convince me that shop updates are the shizzy-wig. Where Do Your Etsy Shop Updates Go? 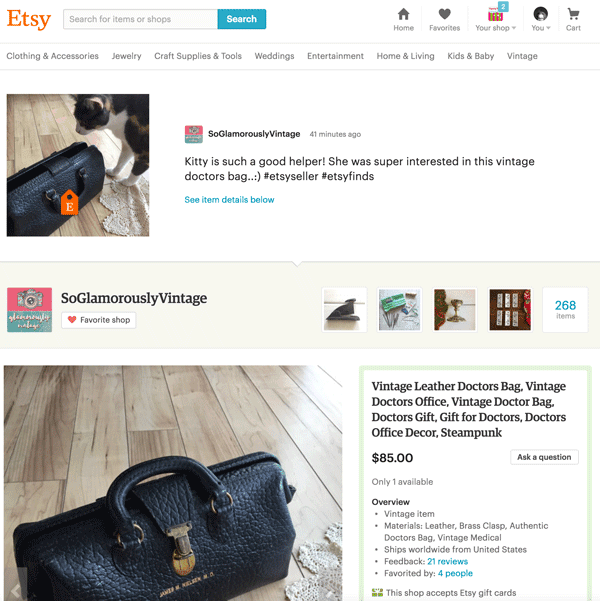 Okay, now we know HOW to do Etsy Shop Updates, but where do they actually go after you post them? As you can see, kitty is over there on the left with her doctors bag! 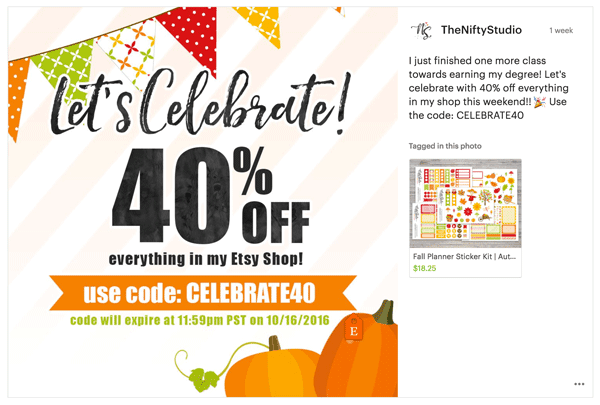 I look at the shop updates when I am shopping on Etsy so I assume other people do too. That one with the sale is an interesting idea… hmmmm. 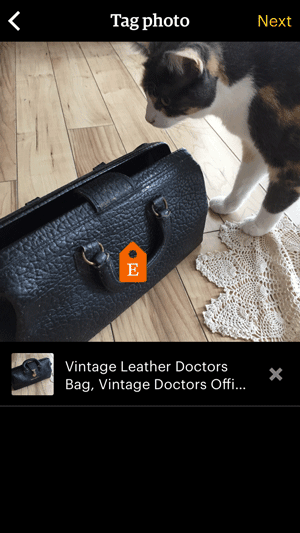 That is a super cool feature… that the listing shows up below the shop update, super easy to buy! When you click the picture this is what you see.. It does tell them to check out the listing, but feels a lot less natural than the desktop computer did! How Can You Tell If Shop Updates Are Working? 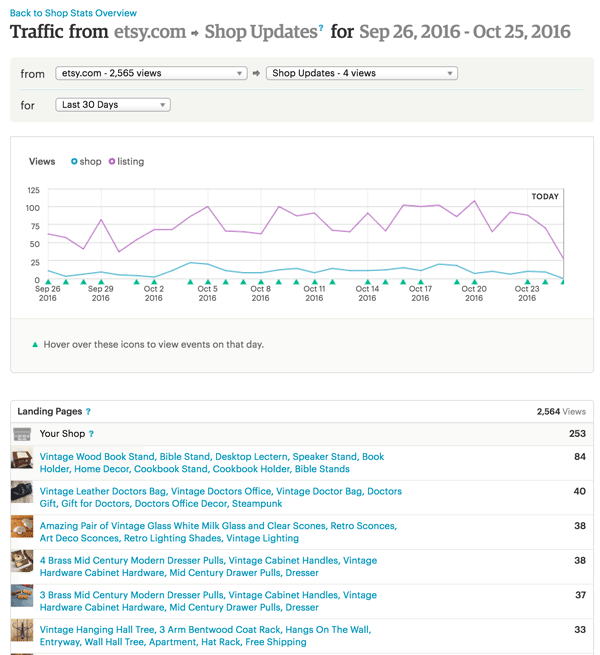 UPDATE October 2018… You can no longer find “shop updates” broken out by line item (my results left to show that they actually do work)… current traffic source stats can be found in Stats > Traffic > Click the dropdowns. 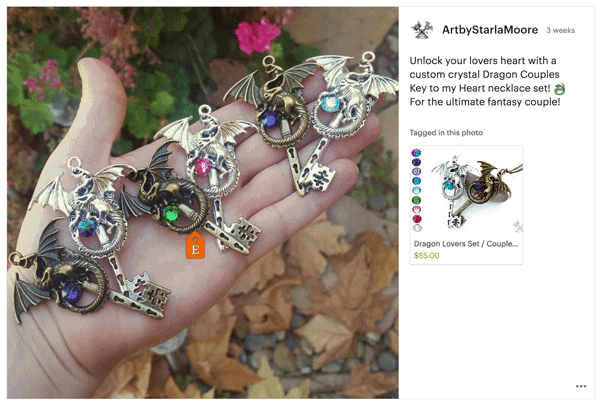 Shop updates may be included in Home Page, Email or Direct but are no longer broken out. and 23 on my Paperly People shop! Considering how few updates I have done over the last month, I consider that number to be downright glorious! Free traffic just for taking a picture. That said, I am super disappointed that the stats don’t show which items the updates generated view from… as you can see they aren’t broken out in the stats page for this filter. That is SUPER disappointing because I feel like I could learn which kinds of posts work best to drive traffic to my store, BUT I can figure that out I guess by tracking views and sales on items that I do updates for. 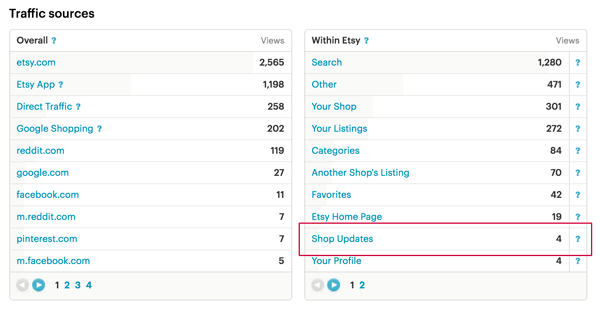 What Can You Do As Etsy Shop Updates? 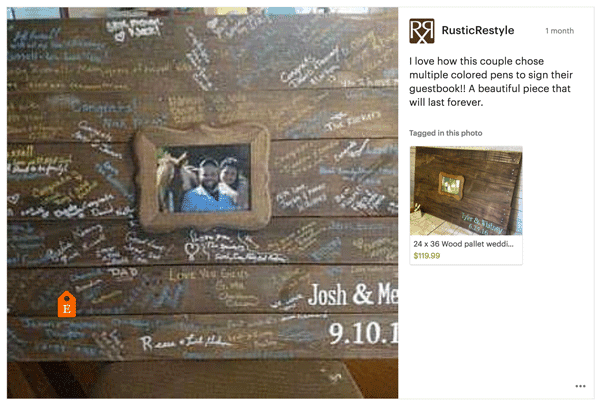 According to Etsy, here is what buyers have indicated they want! We spoke to an array of buyers and found that they are most interested in seeing photos depicting how items are made or sourced, coupons or promotions, sneak peeks at new items or product lines, sellers’ inspiration for new products, and ideas for how items can be styled. Supplies unboxing – you would not believe how many people have launched brands just by showing what they have bought! Take a picture of your supplies coming in the door. How things are made – you might not think people care about how you make your items but I promise you, we do! We love to see “behind the scenes” and know the care and love that is put into your products! Customer photos – if you customers send you photos, use them as an update! Upcoming items – if you are testing out new designs or styles make sure your potential buyers know about them! 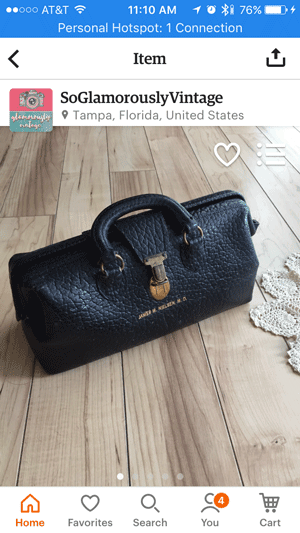 Sourcing trips – it takes a little bit of forethought to take pictures of your items as you are getting them, but once they are listed you can use those candids for an update. This would probably work better at auctions or estate sales than at “the bins” of goodwill! Multiples of the same kind of item – you really can’t have 5 candlesticks in your product picture if you are only selling 1 in your listing but how fun would it be to have candids with a bunch! While you are getting it ready to list – so if you have it hanging on the mannequin, you could pop around back and do a fun “selfie” with it or show it with a scarf or tie! 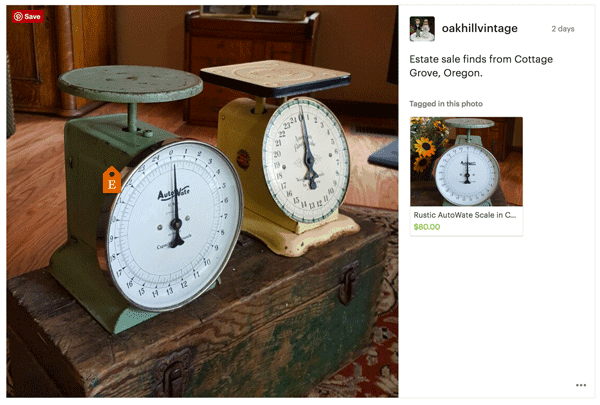 Vintage items in use – if you see a product like yours being used in a magazine, show that and link to your like item! Printed and styled – You and I both know the problems that digital sellers have with people thinking they are getting a hard copy. 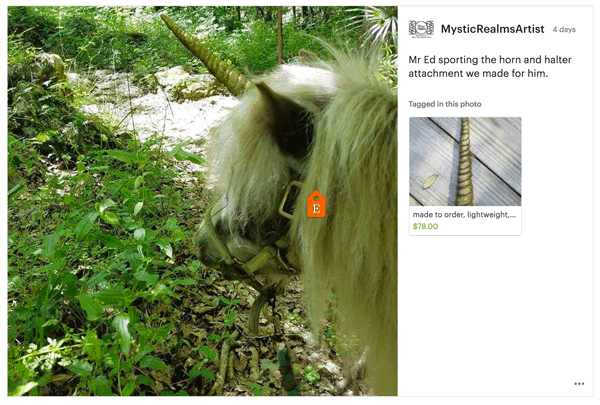 I cringe when I see digital sellers with their first picture as a hard copy, but doing it as an update can make the item seem more “real”! Digitally styled – I love using digital files to put my products right in the midst of a beautifully styled “product mockup” scene. 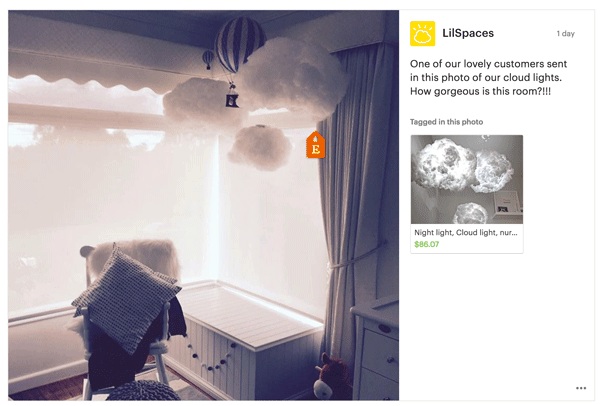 Here are some great examples that I really like! I will add to these as I find more that I like or that are effective! Alright, that is A LOT of information about shop updates! I am definitely more excited to do mine after I have seen all of these great examples. 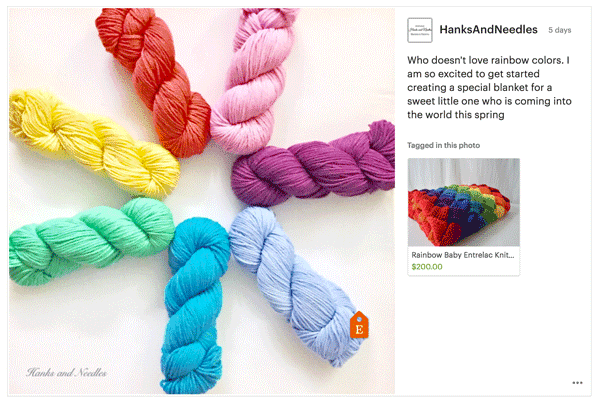 If you have a great idea for an Etsy shop update, please make sure to shoot me an email – tara (at) marketingartfully.com – and I will consider including it in this post!